Naps are for babies and toddlers, right? Maybe not. Society looks at work hours as a badge of honor, and people get a sense of pride telling you how busy they are. Heck, even I am guilty of doing that a time or three. Recently, I found out that Chris Lema, one of my favorite bloggers has a daily 45-50 minute nap routine. Not only was I surprised that he does, I was more surprised that he would readily admit it. So many executives or high-achieving people feel that they need to cut corners on their sleep in order to seize the day. That can sadly lead to ailments of all sorts, both physical and mental. 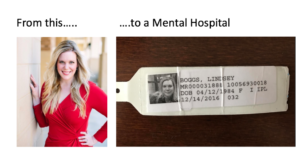 A few days ago, I read a heartbreaking post by high-profile LinkedIn member about her mental breakdown last month. You probably know a few people in such jobs, right? Those are not the people who should be driving and making decisions on your behalf while sleep-deprived. We often think of going away on vacation as the time we catch up on rest and relaxation. Wouldn’t it be better to get rest as a regular part of our lives? Balancing work, family, and time for ourselves is always a challenge. Why wait until you’re at a breaking point to do something about it? The world gives us accolades for looking like we can continually expend our time, our energy and our resources. But there are consequences. Sleep, is part of the equation for health, which is the foundation for everything. During the workday, some people take naps in their cars. Now they don’t have to, depending on who they work for. I was pleasantly surprised when I saw that a past client provides their employees nap rooms in all their office office locations. In one office, they even had a comfy couch right in the break room, and I saw a woman was napping away. This used to be something that you could find in “cool” tech companies. I’m glad to see that this becoming more mainstream. Working out, playing games, going to the spa and other things may be relaxing…but nothing beats sleep.